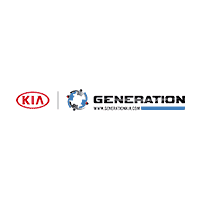 Another outstanding experience at Generation Kia. My wife's Soul is the third Kia from this dealership, and every interaction there has been positive. Today's service visit was handled by Anthony C. He is clearly knowledgeable, cheerful and accommodating. I have yet to have any problem with any of the service writers or service department, but today was really pleasant. It's what I call customer service, well done. Chris in service does an awesome job. He went over in detail for my car’s service. He called me for additional questions for my car’s recommended parts service. Thank you Chris. With Chris, my car is in safe hands. Excellent service! Juan Carlos is very professional and courteous! Highly recomended! Bought a car from Generation Kia. Had a very good experience, our salesman Big Lou was a great representative of the company. Very knowledgeable and helpful with our trade in and purchase. Would do business with him again. Thank you, my daughter loves her car!! Patti Dibenedetto was extremely helpful and friendly. She was also very knowledgeable and was able to answer all my questions and concerns. The Kia family was a pleasure to be a part of. As a side note please try and find a shorter time period to finalize a deal 4 hours is to long. Brought my truck in to get tires put on, Anthony in the service department took great care of me and got my truck in and out super quick. I recommend this location to anyone looking to buy a car or needing their car serviced. Thanks again Kia team!